1 edition of A letter to the Honourable Edward Vernon esq found in the catalog. Add another edition? 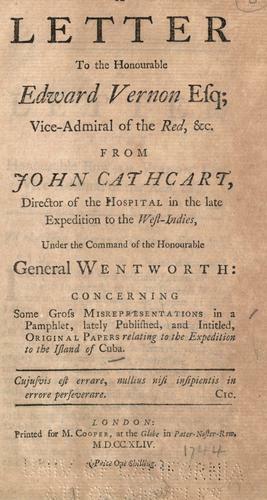 vice-admiral of the Red, &c., from John Cathcart, director of the hospital in the late expedition to the West-Indies, under the command of the Honourable General Wentworth: concerning some gross misrepresentations in a pamphlet, lately published, and intitled, Original papers relating to the expedition to the island of Cuba. 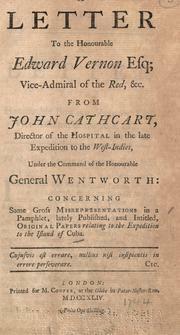 Published 1744 by Printed for M. Cooper in London .